Cameron Ciraldo will take over as caretaker coach for the remaining four rounds and finals following the club’s decision to cut Griffin loose. The club has been dogged by suggestions that Gould had a hands-on coaching role this year and was essentially pulling the strings. 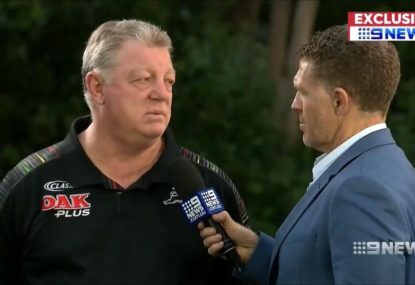 Former premiership and State of Origin-winning coach Gould said he had no desire to get back behind the clipboard. 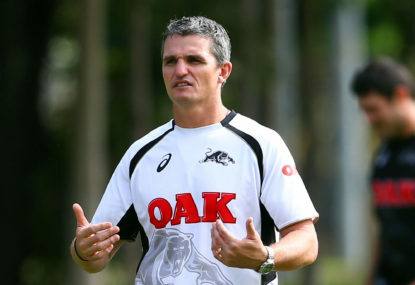 “Cameron will be in charge as the caretaker coach but we’re throwing the weight of the academy behind it,” Gould said. “Everyone involved here coaching right through the grades, Cameron will have at his disposal, the players will have at his disposal. They’re all looking forward to it. 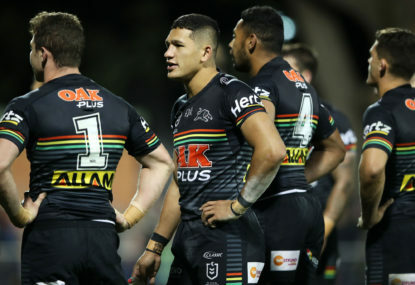 Gould was also forced to deny he was part of the problem after the club parted ways with their second coach in three years, after Ivan Cleary was sacked in 2015. Gould said it was up to the board to decide his future and claimed he had not interfered in Griffin’s job during the season. “I helped out a little in the off-season. If you remember last year we lost Garth Brennan. We had a period where all our World Cup players were away so we had a lot of young blokes training fulltime in the squad,” Gould said. “We took a chance to have a different sort of an off-season and I helped out with a little bit of skills work. 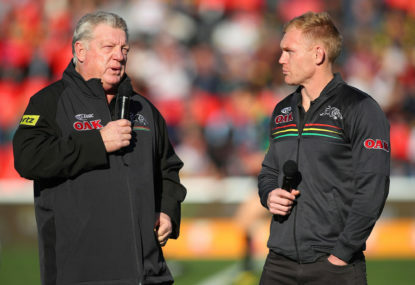 Penrith Panthers general manager Phil Gould will reportedly exit the club this week. 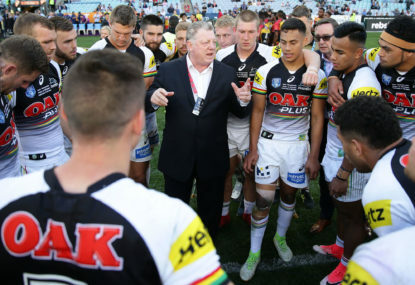 Phil Gould’s strategy to remedy the Panthers has been unique, with his five-year plan now in to its eighth year of hiring as many personal enemies as possible.